After earning an undergraduate degree from Northeastern University in Boston, Massachusetts, Dr. Bloom worked in the Biotechnology Branch of the NASA Electronics Research Center in Cambridge, Massachusetts, designing medical instruments for the Apollo program. Dr. Bloom then entered Tufts Medical School, where he did research in retinal electrophysiology, strengthening his interest in ophthalmology and in retinal disease in particular. After an Internship at Newton-Wellesley Hospital, he began his Residency in Ophthalmology at the New England Medical Center, completing a PHS Traineeship in Retinal Electrophysiology. 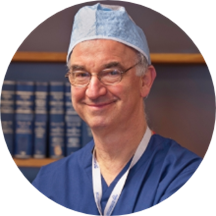 Dr. Bloom went on to a clinical fellowship in Vitreo-Retinal Diseases at the Manhattan Eye, Ear and Throat Hospital and a research fellowship at New York Hospital exploring the use of lasers in vitreous surgery. Dr. Bloom went into private practice in Philadelphia in 1980, and is currently on the staffs of Wills Eye Institute, Einstein Medical Center and Main Line Hospitals, Lankenau Medical Center. He maintains a particular specialty interest in the diagnosis and treatment of diabetic retinopathy, macular degeneration and other retinal diseases. He is a Fellow of the American Society of Retinal Specialists, American Academy of Ophthalmology and Pennsylvania Academy of Ophthalmology.